Kim A. Williams Sr., MD, likes vegetables. He really, really likes them. Fruit, too. Meat, poultry and fish, not so much. 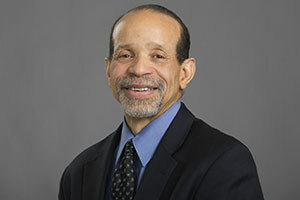 The head of the Division of Cardiology at Rush University Medical Center and immediate past president of the American College of Cardiology, Williams follows a vegan diet — that is, he only eats food from plants, and no food derived from animals, birds or fish, including dairy foods and eggs. He also recommends it for patients with high cholesterol, high blood pressure and other health problems. His advocacy of veganism makes him a natural choice to be a special guest speaker at Veggie Fest 2016, a vegetarian food and lifestyle festival being held in west suburban Lisle, Illinois, July 23 and 24. Williams will deliver his address, “Nutrition and Heart Disease: Take the Die Out of Diet” at 1:30 p.m. on Saturday, July 23. Rush is a sponsor of the festival. In addition, health providers from Rush will offer a free health screening called HEART! (Helping Everyone Assess Risk Today! ), which will make an estimate of each screened person’s risk for cardiovascular disease, including heart attack and stroke, by testing blood sugar levels, cholesterol and body mass index. The screening team will offer private consultations and referral information, if needed. Williams received national attention in July of 2014, when he shared his reasons for becoming a vegan in a post on the health blog CardioBuzz. He disclosed that he’d embraced the diet after learning in 2003 that he had high cholesterol. “I thought I had a healthy diet — no red meat, no fried foods, little dairy, just chicken breast and fish,” Williams wrote. On discovering that his chicken meals had more cholesterol than pork, he changed to a vegan diet using vegetable-based meat substitutes and substituting almond milk for cow’s milk. “Within six weeks my cholesterol level was down,” Williams wrote. He also talked about discussing the benefits of a vegan diet with patients and providing them with help finding vegan food options. “I recommend a plant-based diet because I know it’s going to lower their blood pressure, improve their insulin sensitivity and decrease their cholesterol,” he told the New York Times in an interview shortly after his blog post was published. Williams’ advocacy extends to trying to persuade his fellow cardiologists to emphasize diet and nutrition in their care for patients. He helped establish the International Cardiovascular Nutrition Summit for physicians, which was held in Chicago last May. Williams is a Chicago native who returned to his hometown to lead Rush’s Division of Cardiology. He previously was a tenured professor of medicine radiology and chief of cardiology at Wayne State University School of Medicine in Detroit. While growing up in Chicago, Williams distinguished himself as a high school chess team captain and collegiate tennis player. He received his undergraduate and medical degrees from the University of Chicago’s Pritzker School of Medicine. Following his residency in medicine at Emory University in Atlanta, he completed fellowships in cardiology, clinical pharmacology and nuclear medicine at the University of Chicago.